In doing personal evangelism coaching with some pastors these last few days, I found myself recommending one thing very often. So let me give you a practical model to make your friends prayer list today. 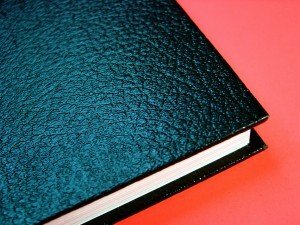 I use a leather bound journal for my devotional times. A half sheet from an 8 1/2 x 11 piece of paper fits loosely in the back. The journal’s clasp keeps it in place. I choose this loose leaf format so that the list can change as life circumstances change. I also choose the loose leaf format as I can move it around as a book mark in the journal. This format also keeps it from being “forgotten” in a prior section of my journal. Here is one process to create your list, through filtering down one particular set of questions. Take a moment to look at your significant relationships. Think of people you choose to spend time with on somewhat of a regular basis. On a scratch sheet of paper, make a list of friends who immediately come to mind. Try to name as many as possible in the next 60 seconds. You may find that you know some people who go to church with you, yet have no evidence of a relationship with Christ. Feel free to add them or keep them on your list. I then take this list and create the “clean” list for my journal. As I write each name, I also ask God for how to pray for them. Prayer is cooperating with God in a sense, and I want to pray in accordance with God’s will, so I ask the Lord for guidance about how to pray for my friends. Beside the names on the prayer list, I’ll note specific prayer requests. Going beyond the generic and into specifics prepares me to cooperate with what God might be inviting me into. It sensitizes me to be more observant about their spiritual journey and how I might be able to be a positive influence. Along the way, I may discover new information that may change how I pray for them and what for. As God answers some of those specific petitions on my prayer list, I’ll update the list from time to time. Updating my prayer list helps me to see progress in a person’s journey towards Christ. Make you prayer list today. Spend the next 30 days praying for the individuals by name on that list. Great post, I’m going to give this a try. I’d love to hear your ideas (aka another post) on how to meet people outside the faith. When I meet people and they learn I’m a pastor, barriers instantly go up or they share how they are catholic/protestant/etc and go to *blank* church. Chris, I love your step by step approach. I need to revisit making a list. Most of the people I know who aren’t believers are those I see only in passing i.e. as I pick up my am newspaper, etc. I do have a few neighbors whom I need to try to get to know. Most aren’t outside though so opportunity for natural encounters aren’t there. Talking today with some pastors who are doing this and they have had more conversations this week with some of those on the list. . . That’s awesome. There is effectiveness in intentional prayer.